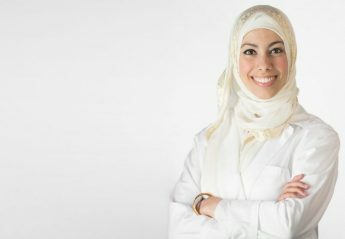 Dr. Fatima Elkabti (pronounced ill-cab-tea) was born and raised in Southern California. She graduated from Scripps College – a private women’s college – with a biology and English double-major with honors. After college, Dr. Elkabti completed a Fulbright Fellowship, studying and teaching language and literature in Amman, Jordan. She then earned her Doctorate in Optometry from the University of California, at Berkeley School of Optometry. While a student there, she served on student government (the Graduate Assembly), assistant-taught in the Ethnic Studies Department, and served on Lion’s Club medical missions in Mexico, Panama and the Dominican Republic. Her optometric rotations took her to the beautiful V.A. Hospitals in Honolulu, Hawaii and Portland, Oregon as well as the Vandenberg Air Force Base in Lompoc, California. Dr. Elkabti loves her job and hardly thinks of it as one. She delights in helping her patients to see better and to better understand their vision. In her free time, Dr. Elkabti loves to read fiction, travel, and try new dishes. If you’re in Tyler, you may bump into her at The Foundry Coffeehouse, Starbucks or anywhere where coffee is sold because, to her dentist-husband’s chagrin, she loves that which ruins her teeth.